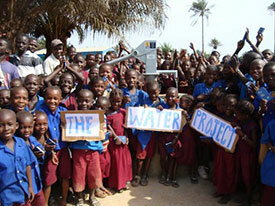 We track every donation to a specific water project. Find yours! Your Donation ID is listed on your receipt, right above the amount donated. Use your email address if you donated online. Don’t forget you may be listed with a school or group. Try browsing by your group/school’s name. If you can’t find your gift, found an error, or you think the wrong project info is returned, please contact us and we’ll find it for you. Did you give along with your school, church or other group? Use the email address you used when donating online. Click here and we’ll look it up for you.